The Chattanoogan Hotel is truly special. 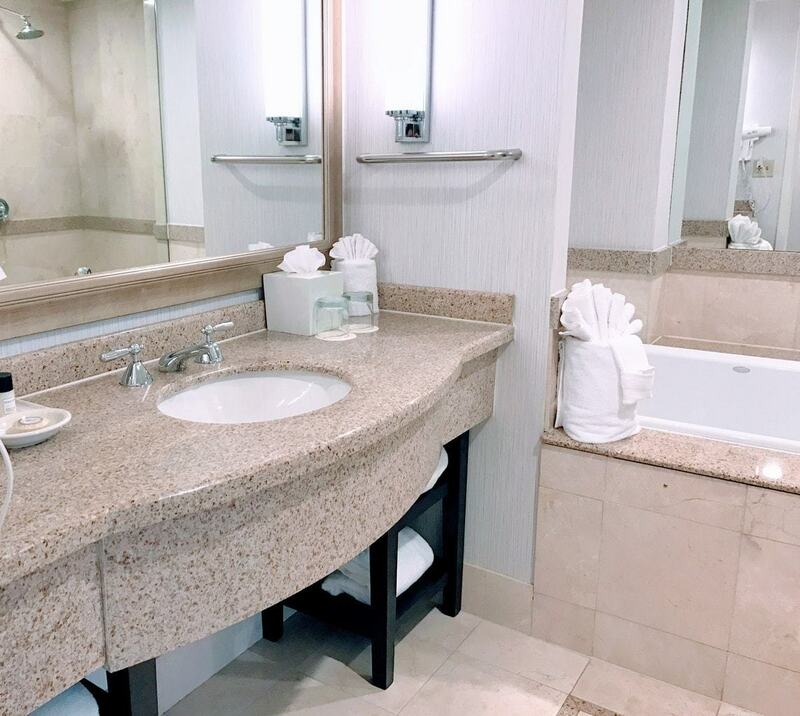 This is a luxury hotel with spectacular views of Lookout Mountain and conveniently located in downtown Chattanooga, Tennessee. This hotel is perfect for a weekend getaway. 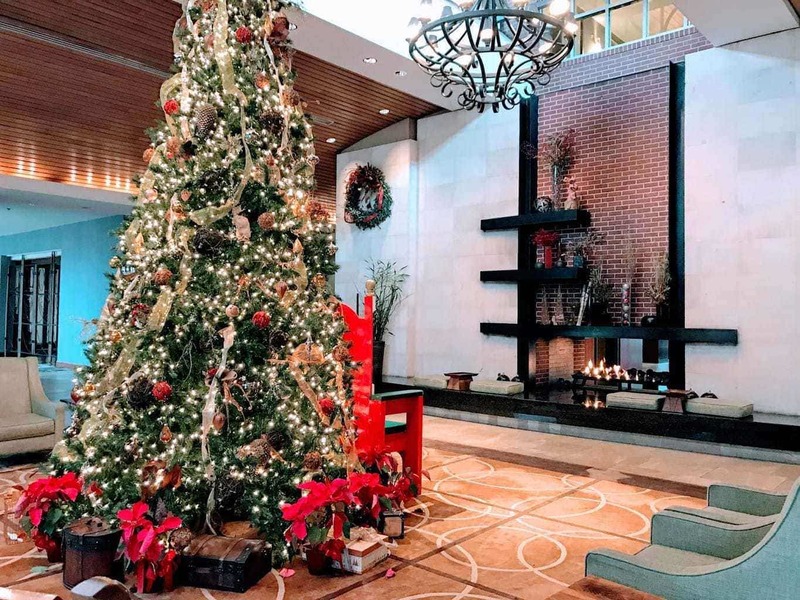 We took a recent trip to Chattanooga for Christmas and The Chattanoogan Hotel exceeded all of our expectations. A big thanks to the The Chattanoogan Hotel for hosting my family. I received a complimentary stay to help facilitate my review but as always, all opinions expressed in my post are my own. The decor was so nice and vibrant, and also decorated so lovely for Christmas. My family was truly in awe the minute we walked into the lobby. When we travel, I love to explore all offered within the accommodations, locally and from a tourist standpoint. The Chattanoogan had it all. 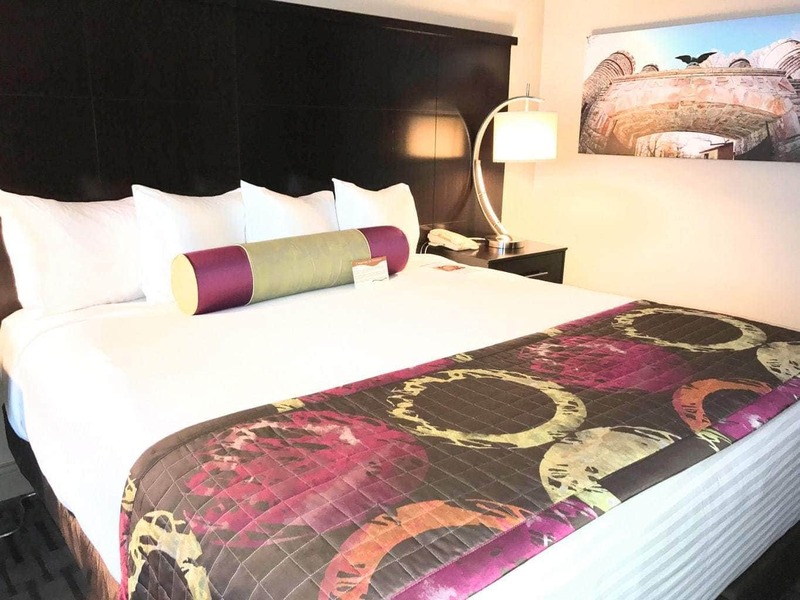 It is simply beautiful and located in the heart of downtown Chattanooga with plenty of entertainment options within the hotel. The staff were all so warm and welcoming. I really felt as though this was the perfect stay. We were there four days and three night with our baby girls. We checked in on Christmas Day which made it even more special. We had the perfect accommodations with traveling with my daughters. Yes, we got adjoining rooms! I am just going to be honest about this. 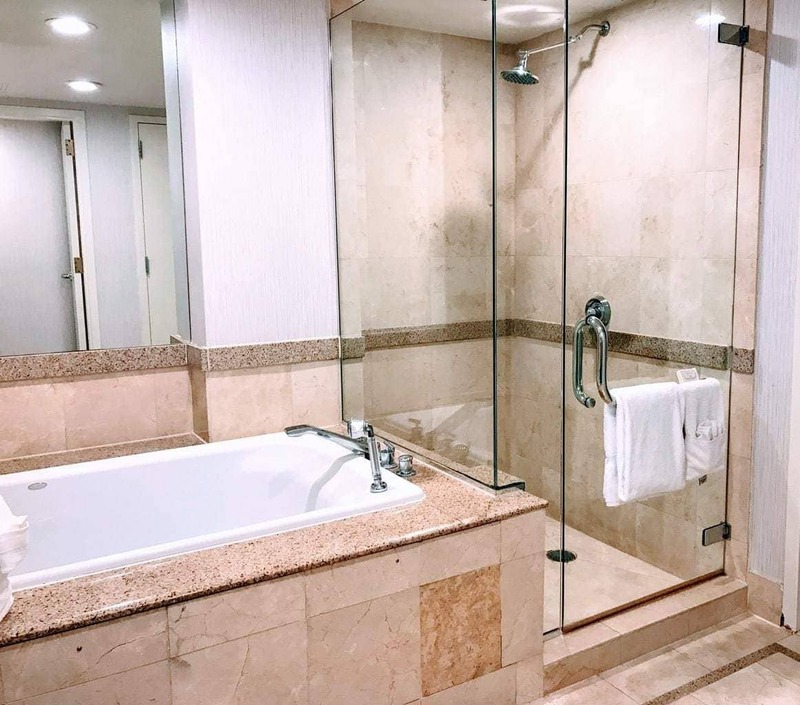 These accommodations are a must when traveling as a family. So the children have their own accommodations and the hubby and I can have our own privacy while still being right there. Try getting ready with a shared bathroom with three girls! It can get pretty hectic. We had the luxury of having two bathrooms and it worked out nicely. It is truly a logical preference when traveling and it is often very affordable compared to a two bedroom suite. When you come to Chattanooga, you come for the beautiful views of Lookout Mountain, the downtown attractions, as well as our favorite Tennessee Aquarium. Most important you want to stay somewhere that is in the heart of everything. The Chattanoogan Hotel offers just that. It is in the perfect location and within walking distance to dining, shopping and even a shuttle! This really awesome valet won my hubby over from the beginning. Rarely do we select valet service as a family because when he is present he lets the girls and I out at the door, and then he self-parks. Well, we chose valet service during our stay and it was the best decision we made. From the moment you pull up, the bellhops are there to greet you and make sure your luggage and things are properly delivered to your room. They park your car for you and take the stress out of your vacation. We were thrilled when we discovered The Chattanoogan offered an indoor pool. My girls thought it was pretty cool to be able to swim when it was cold outside. We enjoyed the pool every single night! The lighting set the mood just right. With glass windows from floor to ceiling, mini palm trees around the pool, you truly felt you were in your own oasis. During the day you can enjoy the beautiful views of The Lookout Mountain just right outside. Our rooms had a Keurig which was a nice touch, but there is nothing liking having coffee in a cute and cozy cafe. We had coffee at Stroud’s Sidewalk Cafe every morning and loved it. This cafe is loaded with Southern charm and offers really delicious & fresh coffee. The ladies are super friendly and they make your coffee or cappuccinos just the way you like them. Of course, my girls enjoyed their hot chocolate. They serve delicious sandwiches, salads, soups and even desserts too! 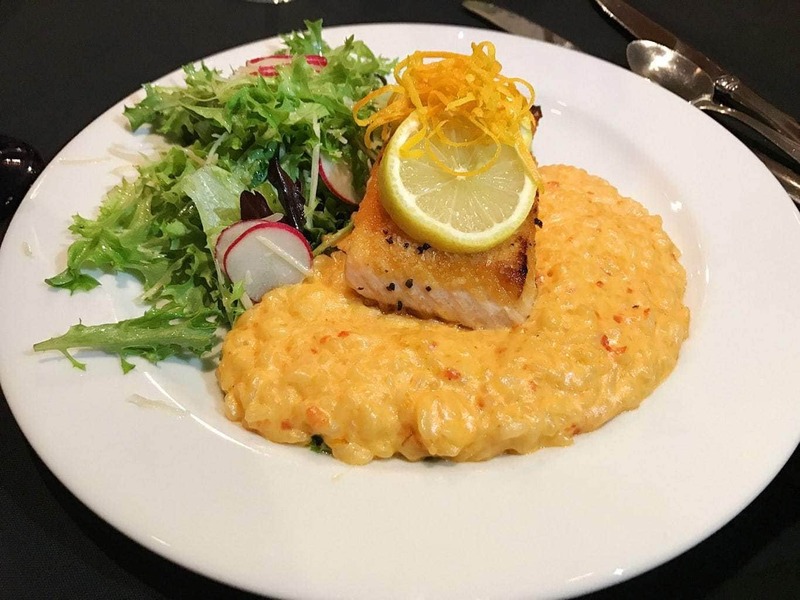 The Broad Street Grille Is definitely a restaurant you’ll want to dine at. Chef Roe and his dynamic team do not disappoint. They roll out the red carpet every day and present a regional favorite plus present an awesome kids meal and fixings. 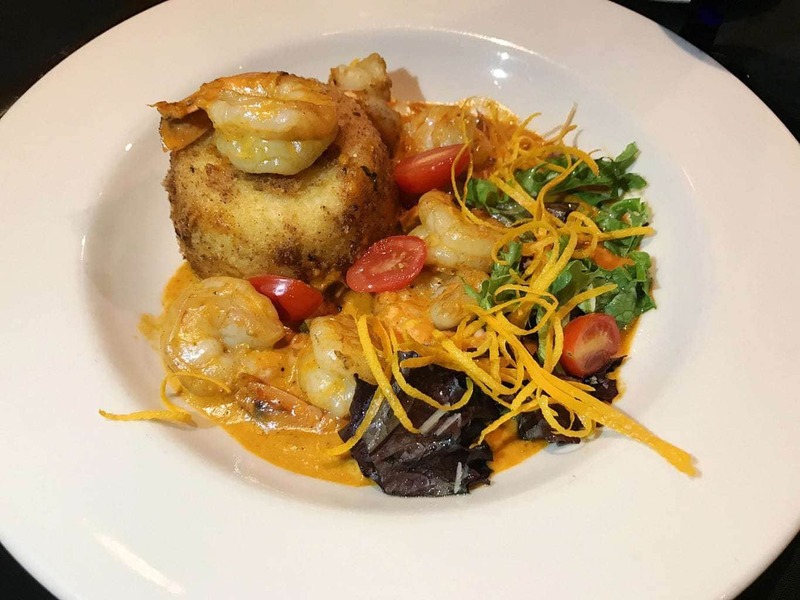 The dining options and menu selection at Broad Street Grille is outstanding! I am a steak and potatoes kind of gal so I had the NY Strip- which was out of this world. My husband had the Pan Seared Salmon Fillet and Red Pepper Risotta. My sister-in-law had this beautiful Caesar salad paired nicely with this Shrimp Creole. The breakfast options at the Broad Street Grille were also perfect. They serve breakfast buffet style with your choice of freshly made omelets with all the fixings. We have some unique eaters and they nailed it with their selection. The Chattanoogan was truly special and yes we will be back to again to experience the spa. I would highly recommend The Chattanoogan for a getaway, retreat, family vacation or romantic trip. It is perfect in so many ways. Visit The Chattanoogan Hotel website and tell me one thing you would love if you had an opportunity to stay here. Dining by that beautiful outdoor fire pit!!! And The NY Strip looks amazimg! I’d love to try the Spa. It looks so relaxing. I love everything about it. The pictures scream fun, relaxation and comfort. DOWNTOWN CHATTANOOGA EVENT SPACE would be great for a start up company to show their wares. Love the location, so much to do around the hotel. The rooms look so beautiful. I actually stayed at The Chattanoogan in 2015 during a state convention. I had no idea there were so many amenities! I want to go back and enjoy it all! I would love to try out their spa. It looks so relaxing. Oh, I love that it has a spa, and that it is in the middle of everything happening in town. Appears to be warm, comfortable and upscale at the same time. The outdoor things to do like whitewater rafting. The food and/or dining sounds great. The Broad Street Grille Dinner Experience sounds great! I love the shrimp creole at the Broad Street Grille. The rooms look lovely,and it is a bonus to be staying right downtown. One thing I would love about staying at the hotel are the spa specials. Thanks for the giveaway! What a great giveaway! This a great “stay-cation” idea, especially since it’s not too far from Knoxville. Great photos! I’ve been to Chattanooga many times, but never “vacationed” there. It looks like a wonderful hotel and I’m glad you had a great experience. I would love the indoor pool with fantastic view. I would love the full-service spa. The Foundry Restaurant seems like a great place to eat! I am all about food! The rooms look beautiful. Plus there’s a pool! The spa and dining rooms sound amazing! I would love to try out the spa. I’d love to try the Broad Street Grille! The food looks yummy. I didn’t see anything I wouldn’t like about it. I would love it ALL. The Broad Street Grille looks nice! I would love to go to the spa! I like the location and the things to do in the area, but the spa would be great to try out. Looks great. Must be a nice time. The indoor pool and spa would be what I love and not having to worry about any weather. That hotel looks amazing. You won over by mentioning buffet because nothing gives me more joy then wearing elastic band pants for more eating. The full service spa seems wonderful! Everything looks so clean and inviting, I’d love to stay here! Everything looks so clean and inviting, I’d love to relax here! I would love staying there and taking advantage of the wonderful spa! How relaxing that would be. The pool and spa look wonderful! Would love to visit. The view, the food, & the spa! How can I pick? I love all of them! Thanks! The spa sounds nice and relaxing. The dining looks delicious too! I love that it’s in the heart of the city…so I’m sure we could walk to fun places! And their pool looks amazing! My kids would love that they have a pool! I would love a getaway to experience the wonderful indoor pool! I love that they have an outdoor fire pit to enjoy! What a gorgeous place! I love the retro feel. I hope to get there one of these days. The location is the first thing that caught my eye, the interior design is amazing, it looks so cozy and inviting! Perfect for a family trip, a girls getaway, or a romantic stay! I would love to visit! I would love to try one of the Spa packages in the hotel. I love the location and the mountain views! The rooms sound fabulous! It looks so warm and inviting! The pool is awesome! The food looks amazing and that bed! I would be thrilled to stay, sleep in a comfortable bed, eat descent food and a HOT shower! I would love to stay here for all the amentities. There is something for my entire family. Could use some quality time with my son. I would love to spend some time in the pool there! My kids would love that giant aquarium wall. They could spend forever there. Would love to check out the spa and visit the surrounding attractions. Beautiful everything! Pool, Bed, Food look fabulous! I love that the hotel is near many local attractions including the Tennessee Aquarium and Ruby Falls. The hotel looks spacious and beautiful. Where to begin. I would love the luxurious accommodations, a nice restaurant on site with good food, indoor pool plus a central location. I would love the spa. New follower here!! I would love the spa of course! But the whole Hotel looks like you would have a relaxing experience! Thanks for having this giveaway! I would love to try the spa and the restaurant. I would love that New York Strip or the Filet Mignon. The spa, indoor pool, dinning, and walking down town. I’d like to be sitting on the patio enjoying that fire. I would love to visit here. The last time I was in Chattanooga, I stayed in a rather pitiful place. Your hotel is beautiful! I would love the spa! Very nice hotel! Thanks! Would definitely love to try out that amazing looking food! I would love to try the spa they have. The location and the indoor pool! I would love to get a spa treatment there. Looks like a cozy hotel and the food looks delicious! Beautiful hotel, and food looks awesome! I love the warmth of the rooms and the indoor pool. Sounds fantastic! We’ve never been to that area, but it is a place we’d love to visit. it is such a beautiful place! would love the food and looks to be very comfortable! You mean besides the fact that it is in beautiful Chattanooga?! I like that it is walking distance to the aquarium and the museums downtown. In addition to leaving my state, thd spa services look relaxing and exquisite. I love that they have on site food options. Sometimes I just don’t want to leave the hotel to eat. I would really love the pool, the juxtaposition of the cold outside and warm inside! I want to try the spa! Awesome! After enjoying the pool & fitness activities, I would love to eat at the restaurants! I would like to try out the Chocolate Mask in the spa! I would love to try the Broad Street Grille and the spa services. Looks like a really nice hotel! I would love to take advantage of that bonfire! I would enjoy a day at the spa and a nice relaxing end of the day in one of mountain view luxury suites….ooh I already feel relaxed. I love to sample the food no matter where I go and this food looks amazing! The Spa amenities sound amazing, especially the Chattanoogan Signature Massage! I would love getting pampered at the full-service spa! I cherish the fact there is luxury blended with southern hospitality! I would love to be pampered with the finest gourmet, relaxing massages, and the warmth of a cozy room. Sign me up!! I would love to go to the Chattanoogan for our 23rd anniversary this year. Thank you for sharing your experience. The spa looks like something we would both enjoy. Beautiful spa luxury inside, but right downtown! Perfect! Spend the day exploring and come back to the spa to relax! My favorite amenity at this hotel is the fitness Center with cardio equipment, indoor pool, locker rooms, steam and sauna rooms. I would love the opportunity to check out the Broad Street Grille Dinner Experience at the Chattanooga Hotel. The pool looks amazing and the beds look so comfortable! 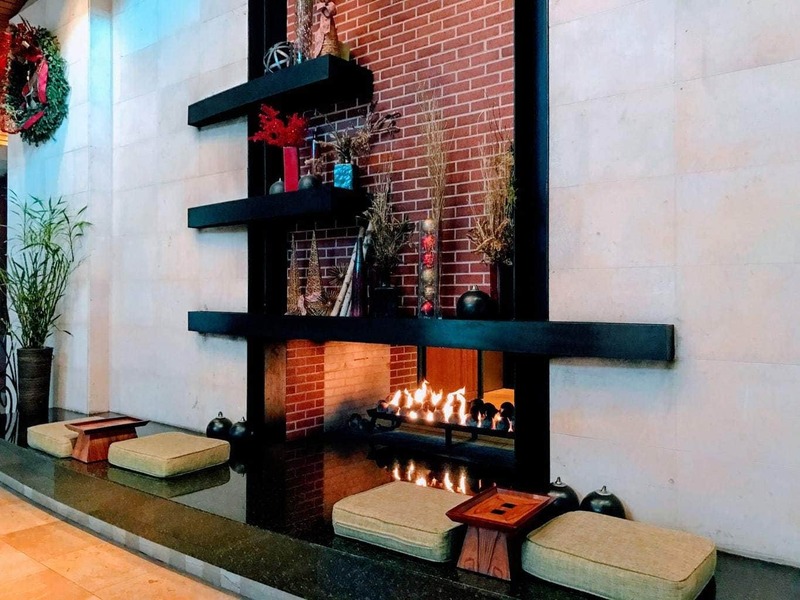 I would love having a drink by the fire! I would definitely love the food! I am such a foodie! We would love the spa. It is very luxurious! i like the spa, i could use a relaxing massage! I love the rooms and the romance packages. I would love to visit the spa. I would love to pamper myself in the spa. I would love to try the Broad Street Grille and the view of Lookout Mountain. Everything looks great!! I would like the indoor pool. i would like to eat at the grille. I will take a river cruise. I would love the open air courtyard brings a sense of nature to the hotel, th elocal area attractions, and the loacl dining. They have some great spa services available there…I would love the rock city ritual. I love the bed and breakfast package the hotel offers – nothing like feeling pampered away from home! The place is beautiful, I would enjoy their Spa and their luxury rooms. I’d love to visit and go whitewater rafting since that is nearby. I think that would be a blast! By the looks of the site, I think I’d like everything, from the rooms to the spa, the indoor pool!! Pick me please!! There are so many things to see and do around the hotel. Everything looks great, but the location sounds ideal and the food there looks wonderful! Vacation would be nice, sweep gods lets wake up this is needed and more cash! I’ve never been to Chattanooga so I love that the hotel is located in the heart of downtown, making it easy to be a tourist. 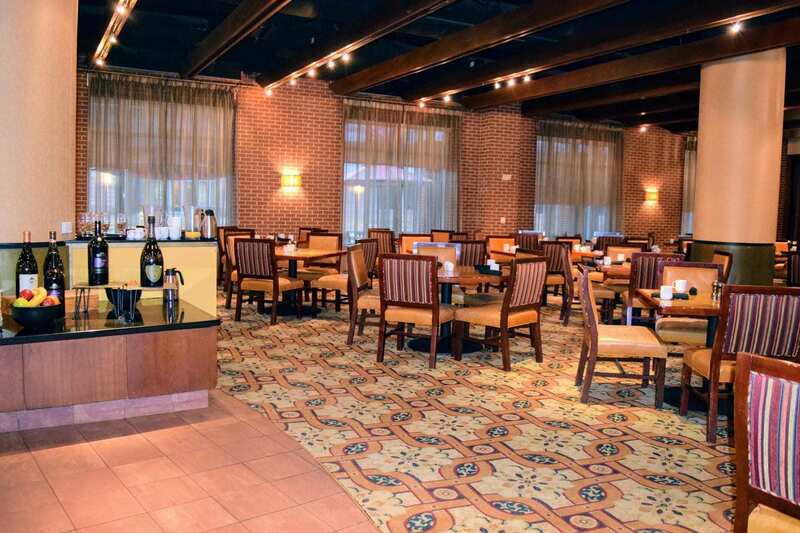 I would love the lunch buffet at the Broad Street Grille. What a bargain at only $13! I would most enjoy the Broad Street Grille and the downtown location. I would enjoy the spa services. I would love the spa! The ambiance. And the dining. I’d love to stay here because it looks so nice and I could go swimming in the fabulous pool. Have not had the chance to stay here yet but for sure I am going to after your review and that food looked amazing! Thanks for sharing!